If you run a business either you need to learn basic bookkeeping or you will need to hire someone who can. 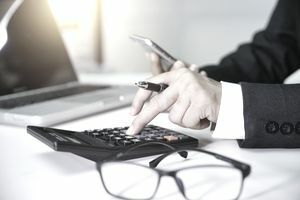 There are two main types of accounting methods to consider and choosing which one is right for your business is not that hard, but that does not mean learning to master bookkeeping is a breeze. If you are a solopreneur running operating as a sole proprietorship, the single account method will probably be fine for your accounting needs and certainly a lot easier to learn. If you do need to use the double-entry method and are not familiar with accounting, consider hiring a virtual bookkeeper, an accountant, or purchase small business accounting software. Below are explanations of both types of entry methods as well as a brief overview of financial statements. It is important to keep accurate records for your own planning and budgeting purposes, but also to provide reports to investors, banks, and of course, the tax man. Double-entry bookkeeping is an accounting method to balance a business' books. For every journal entry credit (recorded under the company's equity side), there is an equal journal entry debit (recorded under the company's assets side.) All credit and debit entries are categorized using a Chart of Accounts. The first entry shows a change in the assets side - the debit entry. The second entry shows a change on the equities side - the credit entry. The double-entry method can be very confusing at first but when entries are properly recorded the account books will balance because the total of all credit entries will be equal to the total of debit entries. The double-entry accounting method is used by most businesses throughout the world. However, some businesses that have strictly cash transactions may use the single entry bookkeeping method instead. The single bookkeeping method records entries once and is an accounting method much like the way people record checks and deposits in a checking account register. The double-entry accounting method is used by most businesses throughout the world. However, some businesses that have strictly cash transactions may use the single-entry accounting method of bookkeeping instead. The single-entry bookkeeping method records entries once and does not "balance" the transaction out by recording an opposing credit or debit. Single-entry accounting is simple and easy to master. It works like the accounting method people use to reconcile their checkbooks: Checks are recorded and deposits in a checking account register. For a business, income is recorded (once) and expenses are recorded (once) and the business books are balanced just like a checking account. The double-entry method can be very confusing at first and often requires a knowledge of accounting practices. But when entries are properly recorded the account books will balance because the total of all credit entries will be equal to the total of debit entries. Balance Sheet: Summarizes the assets, liabilities, and net worth (owners' equity) of a business on a particular date. Income Statement: (Also called Profit and Loss Statement.) An accounting statement that shows the profit or loss for a business, by subtracting costs from its earnings, over a specific period of time, typically for a quarter or year. Cash Flow Statement: An accounting statement that forecasts cash receipts and disbursements for a specified period.